What a year?! Perhaps propelled and fueled by covfefe, it really felt like the personal and the public occupied some blurred lines in 2017. This year showed us what happens when you throw enough water particles into a vat of hot oil the size of a planet. Is anyone left innocent and unshaken? To those that can make that claim…share that medication before it’s re-allocated to the rich! Take a look below and let us know what we might have missed! After the US Presidential Election slammed to a close, one of our staffers at Little Laos on the Prairie felt it prudent to address the shocking results…and its massive implications. Not surprisingly, we weren’t the only ones shocked with the results. The Laotian Times also addressed the elections. On January 24, “A Great Place to Have a War: America in Laos and the Birth of a Military CIA” by Joshua Kurlantzick made its way to print. U.S. Deputy Assistant Secretary of State for Southeast Asia W. Patrick Murphy visited the Lao PDR on Jan 16 and 17. He outlined several key areas where the U.S. and Laos can strengthen their partnership including accelerating UXO clearance, investing in human and institutional development, and expanding economic and people-to-people ties. The largest Lao Food Festival opened in Laos, located at Chao Anouvong park, in Vientiane. At Little Laos on the Prairie, we interviewed and became acquainted with Kanya Lai. The United States and the Lao PDR started working to reduce child stunting through USAID Nurture, a $3.7 million United States Government development project funded by the U.S. Agency for International Development. On February 03, the Lao government signed a memorandum of understanding with Save the Children, the prime implementing partner for the program. Through this program Save the Children will work in partnership with Lao officials and communities to improve household nutrition, water, sanitation, and hygiene practices in six districts across Savannakhet and Khammouan Provinces. Tham Khannalikham named as the new White House decorator by First Lady, Melania Trump. Chantala Khommanivanh’s limited edition art book, “Forget Nothing” was released. Here at Little Laos on the Prairie, we had a chance to interview Chef Seng Luangrath on Why Reclaiming Lao Food and it’s Award-Winning Taste Matters. The latest on Chef Seng’s repertoire is her recent nomination for the prestigious James Beard award, where she’s a semifinalist in the “Best Chef: Mid-Atlantic” category. This is a first for a Lao female chef. Little Laos on the Prairie also celebrated International Women’s Day with a Letter to My Daughter. There was also the death of a tourist at the popular gibbon park in Laos. Progress has been positive and maternal mortality rates have been seeing steady declines in Laos, but with anticipated funding drops from the US, we could be seeing a new era of spikes. 2017 ALEC conference on March 10th held in Sacramento, CA. 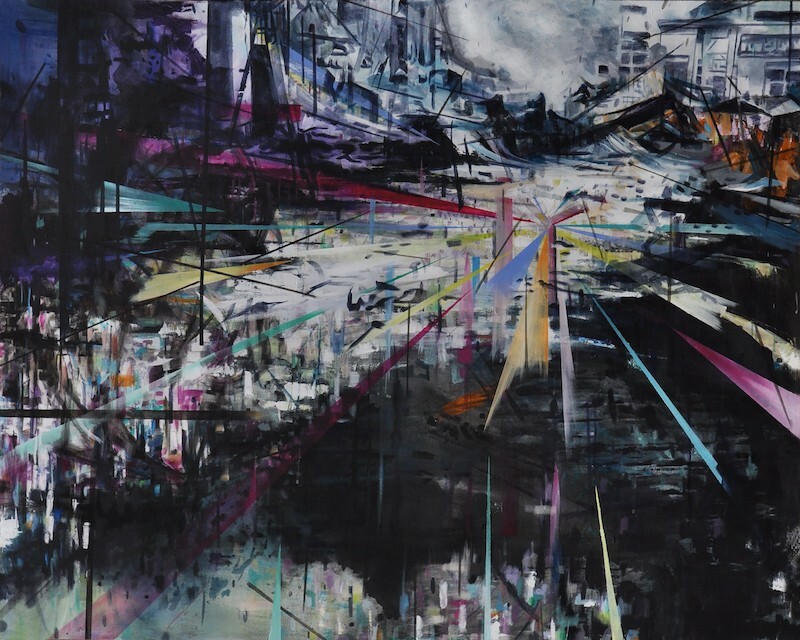 Sisavanh Phoutavong’s Legacies of War opened at Tinney Contemporary, TN. Founding Stories interviewed tech founder, Sysamone Phaphon of FilmHero. An unfortunate rampage in Wisconsin, by Nengmy Vang, resulted in 4 deaths. One of the victim’s husband pleads for non-bias. Krysada Binly Panusith Phounsiri, besides being an award-winning poet and dancer (also moonlights as a daytime engineer) helped develop the NovaSeq 6000, Illumina’s latest flagship DNA Sequencer. The instrument can sequence whole human genomes and aims to improve methods in combating cancer and genetic diseases. Lao people all over the world celebrated the Lao New year. On April 25th, Dr. Khamchanh Phanthavong (01/10/1956-4/25/2017), who served many roles in supporting Laotian refugees resettling in the US, including four years as the Executive Director of the Lao Advancement Organization of America in Minnesota, sadly passed on. Bryan Thao Worra was the first Artist in Residence at the UC Merced Center for the Humanities. Mai Der Vang’s book “Afterland” launched. Refugee community mourns Lao Family co-founder Chaosarn Chao in Sacramento. Kennedy “Eranetik” Phounsiri and Krysada Binly Panusith Phounsiri were recognized at the San Diego Lao New Year for their achievements in, not only local community building, but connecting San Diego to the international scene. Little Laos on the Prairie’s Founder and Editor-in-Chief, Chanida Phaendara Potter, donated her birthday. The Diplomatic and Business Community in Laos mark the International Day Against Homophobia, Biphobia, and Transphobia. To mark the International Day against Homophobia, Biphobia, and Transphobia (IDAHOT) on May 17: the Office of the Embassy of Canada, the Australian Embassy, the British Embassy, the Delegation of the European Union, and the U.S. Embassy in partnership with Proud to be Us Laos, hosted a reception in Vientiane. The reception focused on the inclusion of lesbian, gay, bisexual, and transgender or intersex (LGBTI) individuals and increasing awareness of equal access to health services, educational and employment opportunities. Lao American Wisconsin Veteran’s 5th Annual Celebration was held. When the state of mental health in the old world meets the new, a preventable murder of a mother, to her son, might have been left behind. The first Catholic Cardinal in Laos has been appointed. Karst Mountains’ Will Bloom reading, honors Hmong poet pioneer, Pos Moua. Catzie Vilayphonh and Laos in the House hosted #BlessedAtTheICA in Philadelphia, PA. The Center for Lao Studies brought various music artists to showcase, including: Molam Tan Smay aka Molam in the Modern Era, a modern Lao Opera, developed through a collaboration among members of the Lao Bantheung Sinh molam troupe of Oakland, its troupe leader Mr. Khankham Phaxayavong, and Lao-American rap artist One Hunned. Anthony Bourdain’s “Parts Unknown: Laos” debuted. This month also saw the Lao American Writer’s Summit (LAWS), held this year in Seattle, WA, June 23-24. Little Laos on the Prairie were there as a full team and you can read the recap here. Little Laos on the Prairie also had a chance to interview two of our fiercest award winning, IT artists, Saymoukda Vongsay and Krysada Binly Panusith Phounsiri. The debut entrance of General Electric (GE) into Laos is perhaps a game changer. Ekkarath Sisavatdy, Director of the AANAPISI (Asian American and Native American Pacific Islander Serving Institution) program at Highline College, was appointed by Governor Jay Inslee to the Washington State Commission on Asian Pacific American Affairs. At Little Laos on the Prairie, we were asked what the 3-headed elephant symbolized in the former flag. Don’t know? Click here for the answer! Lao people all over America celebrated America’s Independence Day. Laos considers a special policy for the granting of citizenship. Mai Neng Moua, born in a Thai refugee camp, is now an attorney in the Twin Cities. Members of the Lao Heritage Foundation of Minnesota and their students in the Midwest performed at the University of Minnesota at the Coffman Memorial Union. 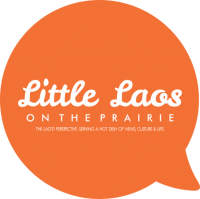 At Little Laos on the Prairie, we had an opportunity to hold a live Q&A with Chef Seng, of Thip Khao. Elgin, IL hosted the 8th annual Lao American National Alliance conference, reconnecting with its sister city, Vientiane, for a record turnout. The musical offerings featured Singsedone, a Laotian band from Rockford and DJ Miss Joy from Las Vegas. A Tank Crew from Laos competed in its first ever Tank Biathlon at the International Army Games, along with fellow newcomer, Uganda. The International Army Games is co-hosted by China and Russia. Sisavanh Phoutavong was selected as an “Artist of the Week” by Nashville Arts. Dr. Khampha Thephavong became the new director of Medical Services for the Student Health and Counseling Center. Kinnaly held their 10th Annual showcase. The first Louk Lao Lahn Lao/Lao Heritage SD Summer camp was held at Wat Lao Buddharam. At Little Laos on the Prairie–we managed to gain access to badass Z Nation actor, Sidney Viengluang. Check out her interview here, and if you haven’t seen her show? You should. It airs on SyFy with Season 5 coming in the new year. Our own Chanida Phaengdara Potter was featured on MPR News with Tom Weber and Doualy Xaykaothao, discussing the lasting legacy of the Vietnam War, the Secret War in Laos, and the documentary, “Minnesota Remembers Vietnam: America’s Secret War. Tina Maharath announced her bid for Ohio State Senate, District 3. Laos selects “Dearest Sister,” from Mattie Do, as its first ever Oscar entry. Loy Khambay celebrates 10 years of exhibitions in Florida. The Lao Community Cultural Center in San Diego, CA continued their Lao Boat Race events from the past few years, gaining nation-wide attention. Krysada Binly Panusith Phounsiri competed, taking 1st place, in the 20th Anniversary Competition of Knuckleheads. The competition featured major international dancers in a 3 vs 3 format. Krysada performed as part of his group, Killafornia. Here at Little Laos on the Prairie, we had the amazing opportunity to interview Anan Bouapha on his pursuit of increasing awareness and recognition for LGBTQIA people in Laos. Anan is part of an active and increasingly visible LGBTQIA community that continues to engage Lao society and international partners. U.S. Ambassador Rena Bitter commemorated the completion of the restoration of Wat Visoun in Luang Prabang during a trip to the region. The historic temple was restored with U.S. government funding of $257,000 under the Ambassador’s Fund for Cultural Preservation. In an effort to boost tourism and attract foreign travelers to the country, Mr Soun Manivong, Head of Tourism Promotion Department, Ministry of Information, Culture, and Tourism stated that the Visit Laos Year 2018 campaign is scheduled to kickoff at the end of this month. Center for Lao Studies held its annual fundraiser on October 14th, 2017. Featured on NBC News’ Gift Ideas was fashion designer and entrepreneur, Tony Innouvong. A Sailor Retires. Terry Phousirith reached the ranking of Maintenance Master Chief Petty Officer, making him the first Lao American to achieve the highest enlisted ranking of the U.S. Navy. Chinese President Xi Jinping, also general secretary of the Communist Party of China (CPC) Central Committee, arrived in Laos for a state visit as the two socialist countries seek to consolidate their traditional friendship. It marks the first visit in 11 years by a Chinese head of state and top CPC leader. Miss Universe 2017 was the 66th Miss Universe pageant, held on the 26th of November 2017. The event was held at AXIS at Planet Hollywood in Las Vegas, Nevada, United States. Laos sent its first contestant: Souphaphone Somvichith. “Redha” and “Beast” Among Winners at Luang Prabang Festival. The LSA Minnesota group hosted “Sabaidee: Flavors of Laos. Timothy Singratsomboune debuts Brand New: Ohio, a gallery show promoting SE Asian and Pacific Islander American artists from Ohio. The Lao PDR celebrated its National Day on December 2. Andre “The Asian Sensation” Soukhamthath celebrated a victory on his 3rd outing in the UFC. Little Laos on the Prairie expanded the team with the additions of Saysomphorn Sisavatdy (Managing Editor) and Donna Luangmany (Canadian Diaspora Correspondent). Lao America’s figure skating phenom, Isabelle Inthisone, will make her debut at the Intermediate level at the US Figure Skating Nationals, in San Jose, CA occurring December 29-January 7. End of year thoughts: Let us know what you think about the list we compiled and share your own thoughts and experiences from 2017 in our comments below! Lots of good things happened. It’s been a good year for Lao America. We hope it has been equally good for you! The work continues for 2018! Thanks! Corrections lots of great things happened. Thanks Mychal! Looking back fills us with some happiness. We hope Lao Americans, as a community, will continue to forge ahead in 2018!